What was the best advice Tania James got as a writer? As she told Granta magazine, “Write the story that unsettles and excites you, that keeps you coming back to your desk.” That’s exactly what James set out to do in her debut collection, Aerogrammes and Other Stories (Knopf). One story shows how two women bond with a chimpanzee, another features ghosts who have relationships with humans, and a third depicts an Indian wrestler in London about a century ago. Yet another story is about a grief-stricken son who finds consolation by obsessively studying his dead father’s handwriting. In the title story, the emotional longing is reversed—it’s a father who yearns for the son who never visits. 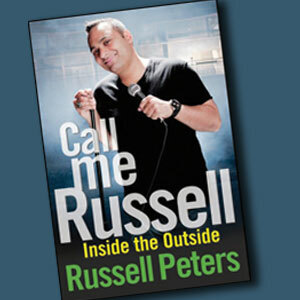 Other characters include a woman who is preoccupied with skin color and an Indian-American who is desperate to win a competition. James, who has a degree in filmmaking from Harvard, is also the author of Atlas of Unknowns, a novel. 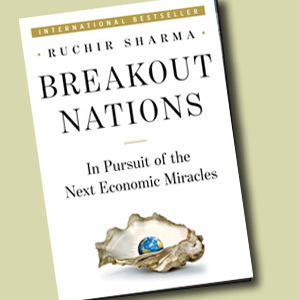 Ruchir Sharma calls his best-selling debut, Breakout Nations: In Pursuit of the Next Economic Miracles (W.W. Norton), an economic travelogue. 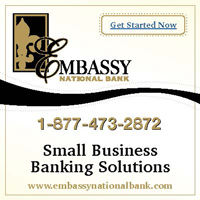 He takes the readers on a tour of emerging markets, ranging from the BRIC nations (Brazil, Russia, India, China) to smaller players like Turkey, South Africa, Malaysia, Poland and Mexico. A frequent contributor to The Wall Street Journal and The Economic Times, Sharma is head of Emerging Market Equities and Global Macro at Morgan Stanley. For a week every month, Sharma visits one developing country. So what does the future hold for India, according to Sharma, who believes in making only short-term predictions? “I put the probability of India continuing its journey as a breakout nation this decade at closer to 50 percent, owing to a whole series of risks that the Indian and foreign elites leave out of the picture, including bloated government, crony capitalism, falling turnover among the rich and powerful and a disturbing tendency of farmers to stay on the farm,” he writes. 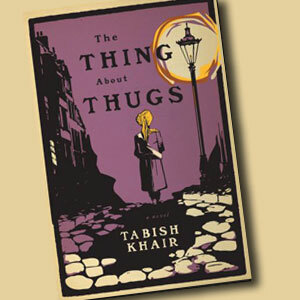 How did Tabish Khair, author of The Thing About Thugs (Houghton Mifflin Harcourt), get interested in the thuggees, an infamous cult that terrorized travelers in parts of India until the 19th century? His grandfather’s library in Bihar, where Khair grew up, had works on the thuggees, along with many 19th-century British novels. Khair, who teaches literature at Denmark’s Aarhus University, devoured all these books. First published in 2010, Khair’s novel was shortlisted for the Man Asian Booker Prize, the DSC Prize for South Asian Literature and The Hindu Best Fiction Prize. The fear of thuggees, which gave rise to the word “thug,” was so great that the Indians living in England back then were seen as a threat. Khair plays with this idea for his subversive novel, in which an Indian immigrant—thought to be an ex-thuggee—finds himself under suspicion when a serial killer is on the loose in London. He realizes that using his wits and finding the real murderer is the only way to save himself.